Song Ta is an artist and a curator. With the exhibition NEW METALLURGISTS JULIA STOSCHEK COLLECTION is focusing on a new and young generation of contemporary Chinese artists. 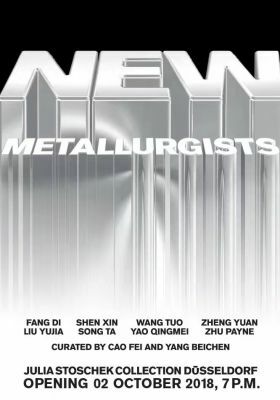 Based on the concept of Gilles Deleuze and Felix Guattari, defining "metallurgy" as a paradigmatic example of a nomadic art, the artistic contributions highlight the increasing complexity and hybridity of modern Chinese society. The exhibition is curated by Chinese artist Cao Fei and curator Yang Beichen in cooperation with Kunstsammlung Nordrhein-Westfalen.